We are so excited to let you in on the big news. 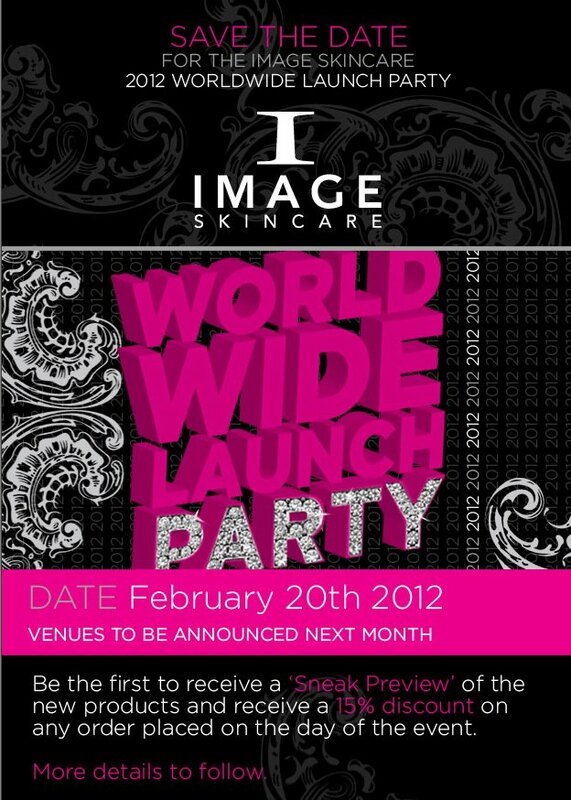 On February 20, 2012 IMAGE Skincare will unveil its new products at cocktail-style events all over the world. We want to give licensed professionals the opportunity to see, test and purchase IMAGE Skincare’s new products. Although we are keeping the details about the new products under wraps until that date, there are a few things we can tell you now. Attendees will have the opportunity to watch a 20-minute presentation on the new products and also receive 15% off all orders placed that day. This is the only opportunity to get any of the new products ahead of the official industry launch two weeks later. So, be sure to mark your calendars now. “We are really excited about uniting the IMAGE family around the world and bringing fantastic, cutting-edge products to the skincare market,” said Janna Ronert, our CEO. There are several ways that you can get the inside scoop first. Follow IMAGE Skincare on Twitter and Facebook. Subscribe to this blog. Sign up for the newsletter. Connect with us and we will make sure you are in the know. A final list of venues will be announced in early January. Participating cities will include New York, Dubai, Beverly Hills, Chicago, Berlin, London, Las Vegas, Hong Kong, Miami, Milan, Sydney and many others.